I finished this quilt last month, however, I have been slow on the blog front. I love blogging, for a few reasons. It is fun to keep track of the projects I complete, it is fun when I get wonderful comments from readers and it forces me to think about the things I am making. That being said, it takes time. Back to my finish!! The top was completed during a cathedral window quilt along. The individual blocks were blogged here, here, here and here. And my top here. I then sat on it for a while. I picked it up again at the end of January settled in and finished it off. I made one small change to the bottom right block of the quilt before I finished this quilt. I changed the colour of the center. If you read my post here, you will understand why. I regret not changing it more before the top was done, but I am happy with it now. 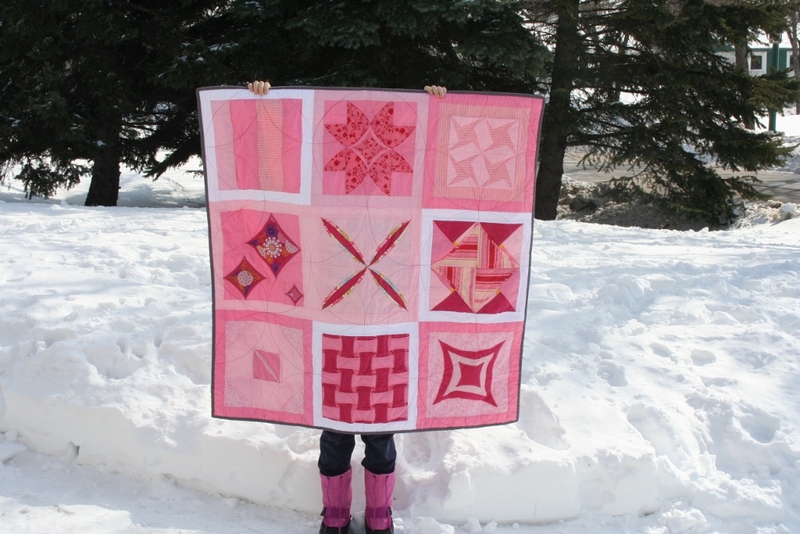 This quilt will be hung on my wall for the month of February. I had it up for much of the month this year and it is now tucked away until 2014. The pink fabrics were almost all from my stash. I am not sure why I had/have so many pinks? I decided it would be a good idea to try to use them up. 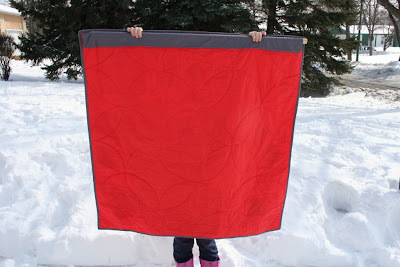 The backing is the red fabric that clashed with my Christmas Package Quilt. It feels good to put fabric to use! The binding is Kona Coal. I think it frames the quilt nicely. 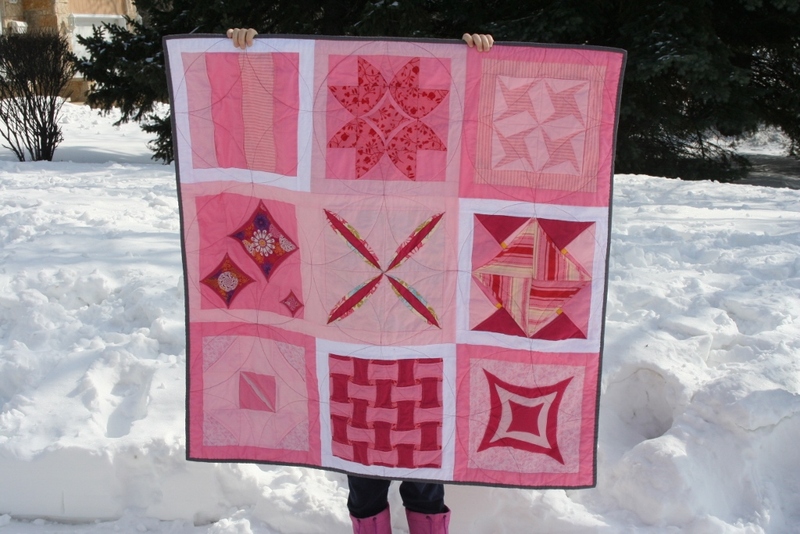 The quilting is the 'orange peel' pattern. My quilt was small enough (about 4' square) I sewed each circle individually. 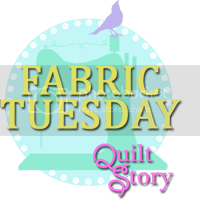 I didn't have the patience to draw the lines and quilt it in a more "efficient" manner. I like the soft lines that it forms. By the way, we have way more snow in our front yard then we did the day we took this picture!